“Lawmakers claim they’ve had to remove 10,000 tonnes of fake food and an astonishing 1m litres of unhealthy drink out of our global supply chain in the first three months of 2016 alone,” screamed the email that hit my inbox. This turned out to come straight from the intro to a blog by graph database company Neo4J titled: “More than just bad olives: supply chain visibility is a serious health issue”. But what is exactly is ‘fake’ food and how can this issue be mitigated? We catch-up with Chris Morrison, CEO of Transparency-One, which has architected a tool which aims to deliver better supply chain insights to companies. A loosely edited Q&A is published below. How do you define ‘fake’ food? 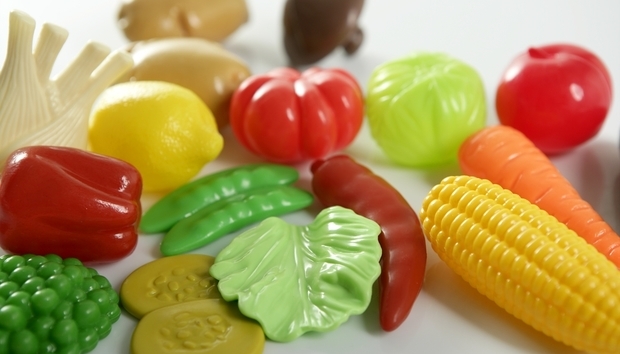 Fake food is defined as an ingredient that is different from what is says on the label. For example, we have been exposed to several fake food issues in the last few years, such as the horsemeat scandal that happened in Europe and in the US. The product travels between so many companies that at one point it became labelled as beef, when it was actually horse meat. Another example would be fake oregano that has been sold in the UK and in Ireland, which was not pure oregano but contained olive and sumac leaves mixed with some oregano. How does this enter the food chain? Supply chains are very complex today. One company can be connected to hundreds of other companies, whether they are suppliers or clients. As mentioned, the horsemeat scandal occurred because somewhere along the supply chain, the labelling of the horse meat was changed to beef. This can be due to the amount of product transferred through this company, or by the company’s own negligence or intentional actions. Fake ingredients can also enter the supply chain when a company willingly changes the label of a product in order to sell it at a higher price point. Is this a global problem and is it worse in certain areas? We have seen numerous fake food issues globally, in Europe, in North America, in Australia, etc. But the issue can start anywhere along the supply chain, in any country. Certainty there have been higher instances in developing countries and China, but North America and Europe are not immune to this issue. What are the challenges of tracking this? The challenge resides in the complexity of the supply chain. With globalisation, any given supply chain can now connect companies all over the world. The supply chains are so complex that you can lose sight of who you are really working with, and that may mean fraudulent suppliers. This is why we have partnered with inspection, verification, testing, and certification company, SGS, which can perform onsite audits in order to verify the information that is entered into the system. Their partnership helps ensure that our platform provides accurate information. How is graph technology used to mitigate the problem? For a long time, supply chains have been linear. However, today you can connect with virtually anyone, making the supply chain more complex. Graph technology, in the form of Neo4J, allows for multiple connections, not just linear but in all directions between supply chain partners – in essence creating a social network mapping of the supply chain. This functionality will enable supply chains to become transparent by connecting all partners from source to store. Additionally, graph technology facilities powerful search capabilities to search on any supplier, ingredient or facility and see all the products impacted further up for down the supply chain. Are other big data solutions like machine learning also relevant? What is important is to gather data and then be able to organise, share, and analyse it. And to do that, we need to create algorithms that will allow the system to give KPIs to a user about his supply chain and his products, as well as achieve complex queries among the data entered in the solution, and much more. Systems like machine learning will bring much more value to the data stored in a system – but the first step is capturing accurate information. Most companies only have visibility to their first tier of suppliers. Is there anything else you’d like to share on the subject that may be of interest to a global technology audience? We live in a connected world that has proven that we can connect with thousands of people all over the world. The goal now is to use this technology to make a safer and more transparent world, where we know where our products come from and who made them.